Tupperware is once again back on game with not just the usual kitchen containers but with other products for every member of the family. 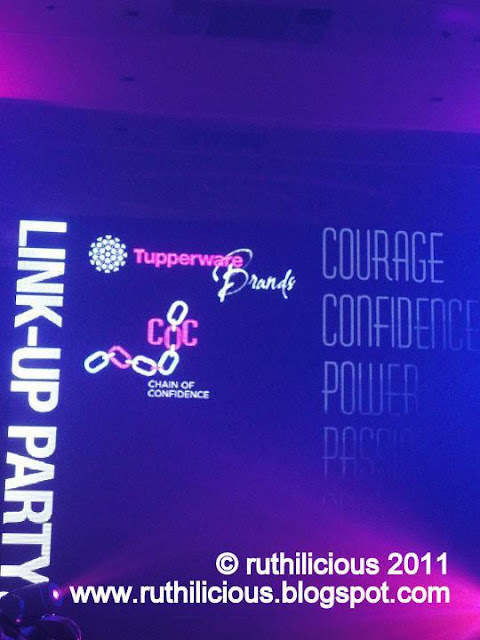 Tupperware held its Tupperware Link-Up Party last Tuesday, August 23rd at the Opus Bar, Resorts World. The event not just aimed to re-introduce the brand but more importantly to celebrate Tupperware as the top direct selling company by strengthening its position to enlighten, educate and empower women and their families with its newest products. The event was hosted by the beautiful Bianca Valerio who is just as witty and "gay" that night. When she entered the catwalk, I thought she was a foreigner. I love her! Who would have thought she has a 10-year old? A felt insecure. Throughout the night, she kept on saying "chos" and "oh di ba?" which is not usually heard from a beautiful, model-ish woman. But she rocks! She is so pretty and witty! Anyway, the first item to launch was the kitchen set endorsed by Marvin Agustin. I love that the Kitchen Gourmet comes in 3 food containers. Mommies can just store the food in the container, keep in the fridge, heat the food in the microwave and use the same container in serving. It's made of glass and it looks classy. I felt like we were in the Oprah show when Marvin announced that each of us would get a free heat-&-serve container! Yahoo!! I was surprised when Bea Alonzo was called on stage to talk about the Colour Collection brand of Tupperware (her name was not listed on the invitation as one of the endorsers, but I was just glad to see her in person). Bianca and Bea raved about the Mineral Cosmetics under Colour Collection, and I got interested when they said it is dermatologist tested, non-comedogenic (most important thing for me! ), resists heat and sweat, and contains higher SPF protection. They also talked about the wonders of the famous BB Cream from Korea which works as a foundation, concealer and moisturizer. Bea loved the lipsticks which she says stay for more than 3 hours ( I have to get that!). The Colour Collection has Bianca Valerio as the Chief Make-up Artist which makes her credible. I would be reviewing the brochure later and check the lipsticks colours and take note of what to order. I love the color of the lipstick she was wearing that night! For mommies with kids, Tupperware has introduced Kids Plus+ after the success of the Baby Care Plus+ collection. The new collection consists of Playtime and Bathtime Collections which are both tested for kids' sensitive skin. Dimples Romana who was a fan of Kids Plus+ was in the event to talk more about the new products. Playtime consists of cologne, lotion and powder (my niece would love it! ), and the Bathtime consists of shampoo, bath and soap. Each product has ingredients which are too scientific and technical for me to explain, but the bottom line is all products are safe and offer gentle protection with benefits for kid's skin. Playtime Collection comes in green packaging to stimulate learning, growth and harmony. We also had a short quiz (through an Audience Response System) just after the talk and Tupperware gave away prizes. We were given 7 chances to win by being the fastest to key in the correct answer. It was fun but I didn't win. The models did the catwalk and there was no need for more talk. Simple and laid-back. I love. The brand features Eco Graphic Tee which is made of recycled PET bottle fabric and cotton fiber. One shirt equals to 3 PET bottles and for every shirt that you buy and wear, you are helping save the Earth. The Tupperware brand would not be complete without fragrances. 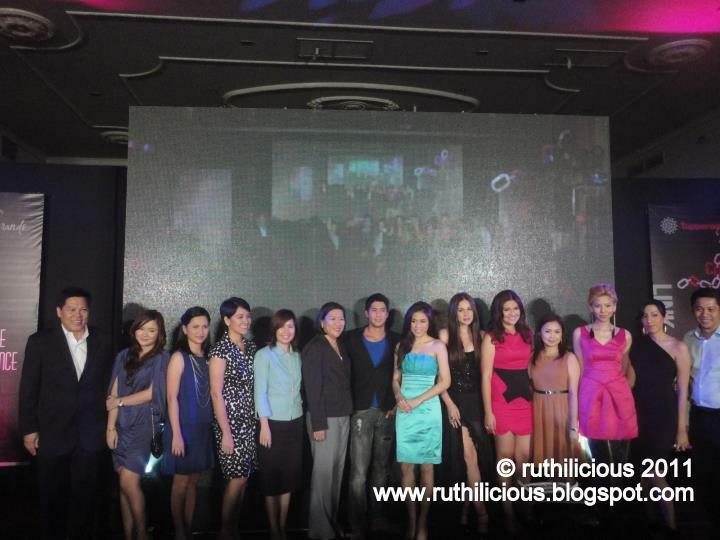 Tupperware made a good move in getting Aljur Abrenica for the signature men fragrance line called Magnetism. Who wouldn't be magnetized by this young charming guy? 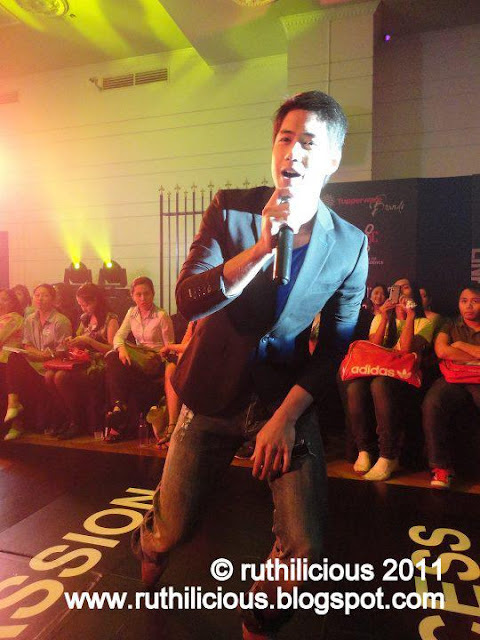 I am not a fan and follower of local showbiz, but he's one of the few actors I adore. He's always humble and sincere. 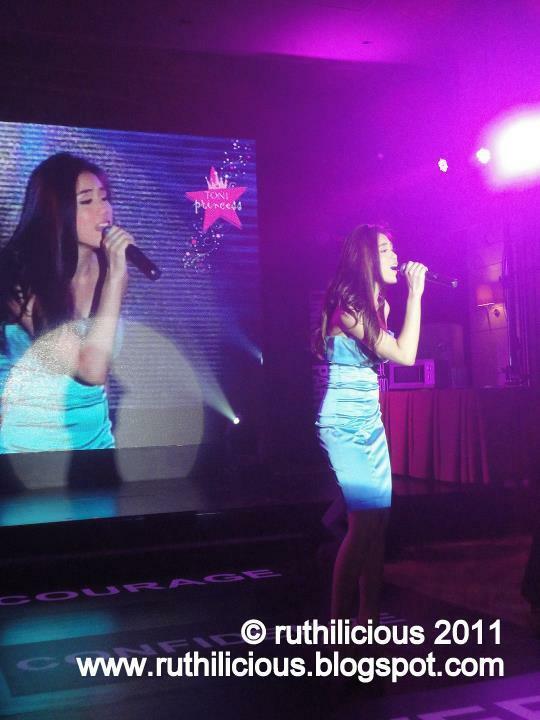 The new lady's scent is endorsed by Toni Gonzaga who was very bubbly and energetic that night. The signature fragrance is called Toni Princess. She is so thin and slim, I felt insecure..
During the registration, we were given shirts with print that screams - I Would Change Someone's Life Today, and as if we were fighting for a good cause, the press people and bloggers just started wearing the shirt after the event and posed on stage. It was like a campaign for cancer awareness or fight against human trafficking, but it was fun! Tupperware even gave us two sets of starter kits with Tupperware products. One we can use to start our business, and one to give to that someone who we would want to change and improve the life. It was indeed a successful and fun event. If you want to know more about Tupperware, please like the Tupperware Facebook Fanpage. 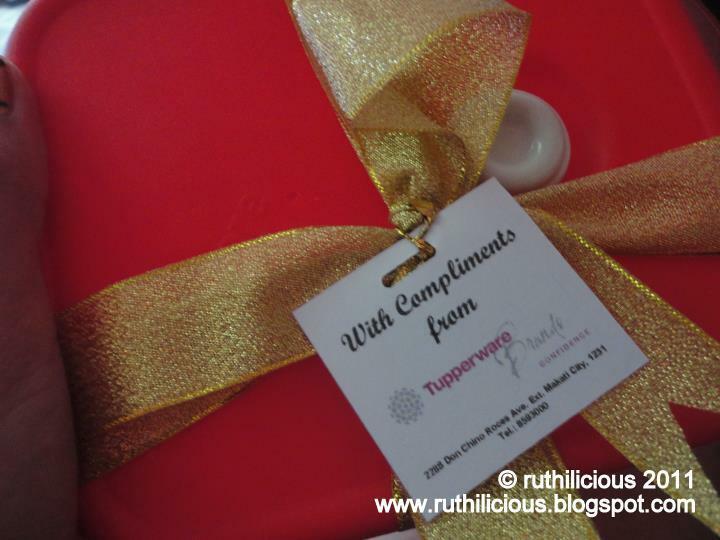 You can also get free Tupperware Tumblers (with Php199 purchase) by sharing your Tupperware story here.